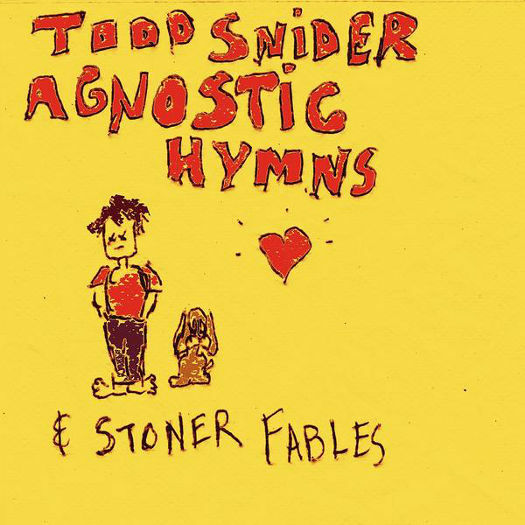 Best Songs of 2012: Todd Snider - "In Between Jobs"
Released in the spring of 2012, Todd Snider's brilliant Agnostic Hymns & Stoner Fables is a gritty, down and dirty blues-rock-alt-folk-country record, that is kind of an absurdist's look at living life in the dying American Dream. Recorded with a full band, Todd the Preacher opens the record with "In the Beginning," and each song thereafter explores a different character and their struggle to make it in a land of haves and have-nots. Drenched in Snider's keen wit, the album explores the rise and fall of an empire while examining the moral compass of its citizens. With track 6, we find ourselves in the world of the unemployed. "In Between Jobs" is the theme for everyone who dies a little on the inside, each time they have to write another customized cover letter. I'm a freelancer -- I can relate. It's soulful, bluesy, and features the jaded reflections of a man who's cynical for a very good reason. It seems that our hero has been "in between jobs" for so long, that it now seems to be part of his Identity, yet he sounds strangely optimistic and proud in this, his anthem -- so much so that it's almost celebratory. Perhaps he's finally losing it? He's a bit sick of being condescended to by Plutocrats. His sleep hours are waaay off. He's slightly unhinged, but still together enough to know right from wrong. Or is he? It's one of those songs you listen to 2-3 times on your way to a job interview to refresh your swagger. Or one of those songs you listen to 4-5 times after sending out 10 resumes in a single week and not hearing back from anyone, just to reassure yourself that you're still cool. It's totally badass.